Widespread ignorance…when it comes to our natural diet | J. Morris Hicks, writer. speaker. big picture guy. My favorite answer is “the same place the strongest animals in the world get theirs — whole plants.” I also try to be helpful, supportive, understanding and non-judgmental as I explain that every plant has protein in it and that if we eat a variety of whole plant foods, we’ll get just the right amount of protein — and all the other nutrients — that nature intended for us to have. I also must continually ask myself this question, “How could I possibly expect them to know about the natural, health-promoting diet for our species?” They, like everyone else in the Western world have been brainwashed for their entire lives. 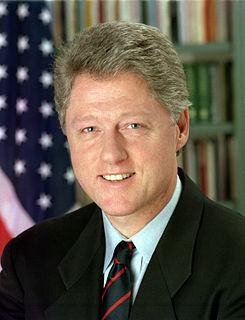 I made it to 58 myself before I learned the truth — William Jefferson Clinton made it to 65. Bill Clinton, now eating mostly whole plants...but still not talking about the world-changing power of his health-promoting diet. While Bubba has read The China Study and two other books on heart disease reversal, he still hasn’t connected all the dots when it comes to the overall impact of the our diet on the entire world. He knows that eating whole plants is curing his heart disease and probably helping with his E.D., but he probably doesn’t yet know that those two simple words — WHOLE PLANTS — hold the key to dramatically reducing our cost of health care, easing the energy crisis, saving the environment, feeding the world and ending the needless suffering of 60 billion animals per year. Once his lightbulb goes on, he can be a tremendous influence on all of these crucial global issues. The massive “not-yet-fully-informed group” also includes many other highly influential people like Bill Gates, Warren Buffet, Oprah Winfrey, Steven Jobs, Barbara Walters, Larry King, Anderson Cooper, Barack & Michelle and every single one of the columnists who write regularly for the New York Times. Speaking of which, over 20 years ago (May 1990), the Times senior nutrition writer Jane Brody wrote a masterful article describing Dr. Campbell’s China Project as the “Grand Prix of epidemiology” and cited the many problems that are being caused by our meat-laden diet. Now, in January of 2011, she writes an article about calcium, that reads almost like an ad for the dairy industry. Pretty soon, she’ll be wearing a white mustache…the universal badge of ignorance for celebrities promoting what they truly believe is a wholesome product. This is why we all remain in the dark on this most crucial topic. The media, the food companies, the government, academia and our medical community are constantly changing what they tell us about food. Confusion prevails over clarity. The answer? Simple. A grassroots revolution not unlike what is happening in the Middle East right now. Non-violent action and communication aimed at improving our health and our planet — relentless blogging, writing, speaking and communicating on this vital, world-changing topic — ending the era of widespread ignorance on this topic once and for all. FOOD — World’s brightest are missing the main point. This entry was posted in Big Picture, Protein Concerns and tagged animal protein, cost of health care, health, ignorance. Bookmark the permalink.